Courtesy of Rhoades Real Estate & Land Auction Services, Inc..
Don’t Miss this Custom Built 3 Bed / 2 Bath Brick Ranch with Anderson windows and doors, situated on 1.7 Acres. Take advantage of this edge of town location that feels like country living, by making it your own! The recent updates on this property include: Waterproof LVT plus Vinyl flooring in the basement, Fresh Paint on several interior walls, New Attic Insulation, New Concrete Cistern Cap, Fresh Paint on Out-building and Chicken Coop. Basement could be a separate living area with another kitchen and possible bedroom or wine cellar. Out-building is suitable for a 2 car garage and workshop. Relax on your 12×30 deck over looking the park like setting of mature trees and flowers, with plenty of room for that garden you’ve been dreaming of. 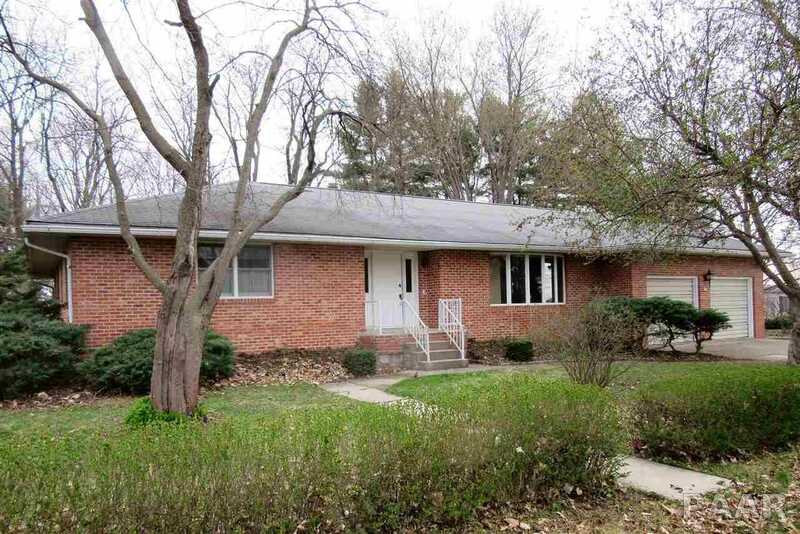 Please, send me more information on this property: MLS# PA1203710 – $109,900 – 507 N Chestnut, Astoria, IL 61501. I would like to schedule a showing appointment for this property: MLS# PA1203710 – $109,900 – 507 N Chestnut, Astoria, IL 61501.